When you are carrying a lot of camera gear you quickly pick up curious little followers wanting to know exactly what is going on. 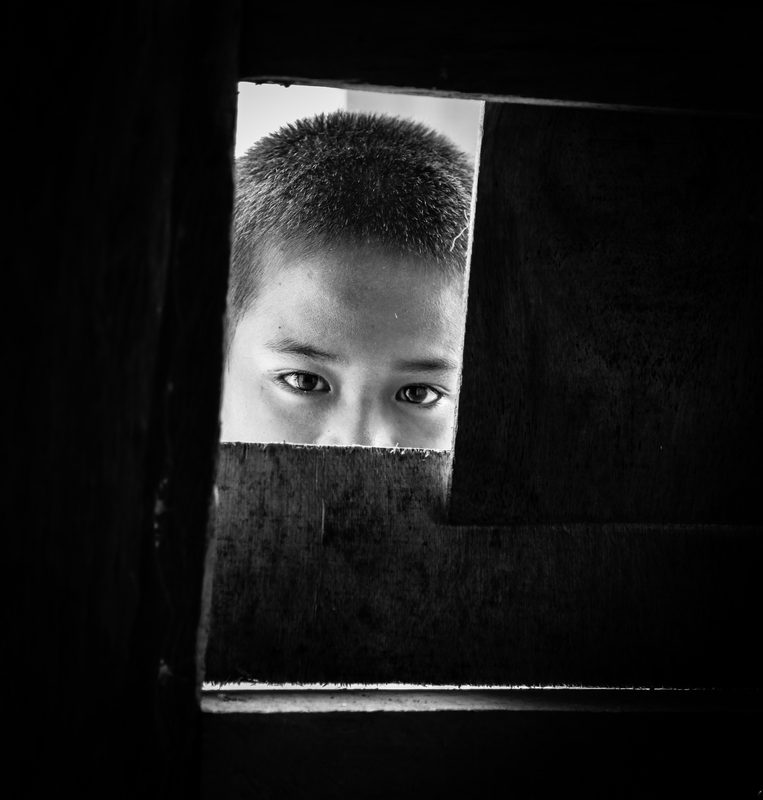 As I interviewed the Captain of Parina Barangay in Giporlos, The Philippines, this little lad kept peering through the window of the Captain’s home. In the end I swung my camera to capture his image. At first he was shy but then he met my gaze boldly through the window. Sometimes some of my favourite images come about like this, with little planning but a captured opportunity. Always have the camera ready for an impromptu photograph. This is a really dynamic photo! I love it. At first I thought this was a staged shot and find it great, but oh, it’s not, so I’ll say — excellent!